From Oct 2019, the University of Warwick campus acquires two new temporary residents: The Good and The Bad. 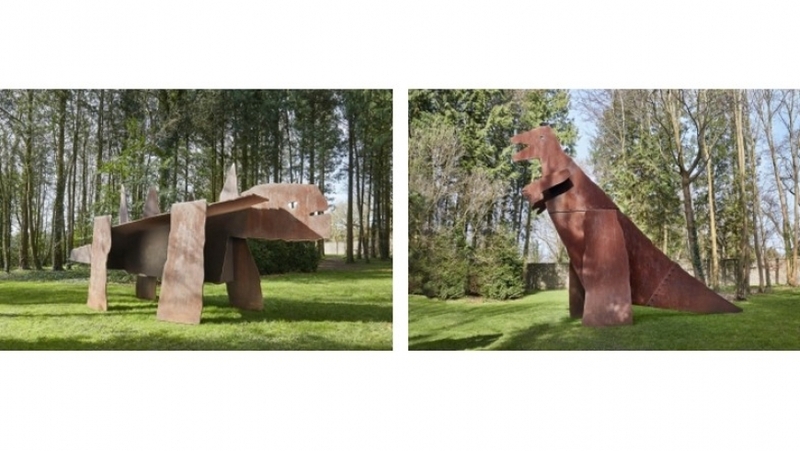 Made by the artists Jake and Dinos Chapman, these giant dinosaurs measure more than eight metres in length and tower up to seven metres high and will be on loan to the University for one year only. Following the popularity of Follow that Hare, the Mead Gallery is creating a new trail linking the art on campus with the history of the site. Do you know some interesting historical facts about the University and its land? In the morning (10.30am – 1pm), the Mead Gallery curators will lead a walk of campus, following the route of Follow that Hare. There will then be an opportunity to share ideas in the afternoon (2.30pm – 3.30pm).